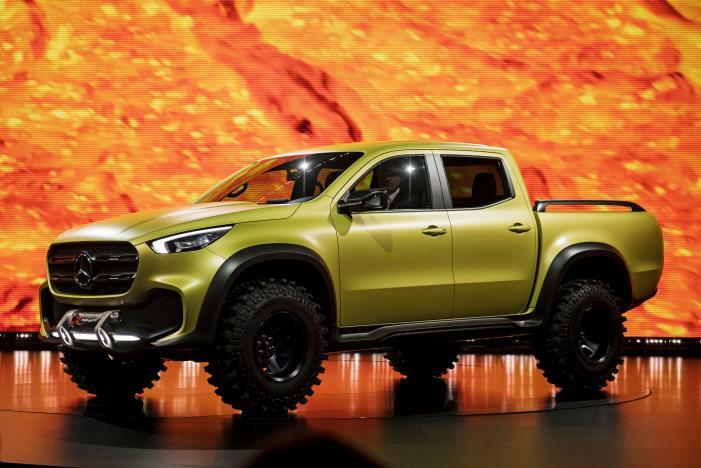 Who would have thought that luxury vehicle maker Mercedes-Benz would venture into the pickup truck segment? Well, it’s about time the German automotive company gets out of its comfort zone and attempts to stomp its class in one of the most saleable divisions in the entire automotive industry. The Stuttgart-based company recently announced that it will be launching the X-Class pickup truck late next year. The 2017 X-Class pickup truck will reportedly be hitting showrooms across Europe and dealerships in Australia, Argentina, South Africa, and Brazil, according to Fortune. While this may come as a surprise to the majority of pundits, Mercedes-Benz has long been thought to be figuring out a way to expand its reach. Now, this definitely is one good way to do that since never before has this brand spoken of any plan to build a pickup truck, a type of vehicle that is closely associated with brands like Ford and General Motors. According to The Verge, it’s a premium, midsize truck that comes with permanent all-wheel drive and a V6 engine. It will actually be offered in two variants that look very different from each other. This is because the first one is to be designed for off-road and rugged use, while the second variant will highlight premium design and styling. Unfortunately for U.S. buyers, Mercedes-Benz didn’t include the American market as one of its few focuses upon release next year. However, it would definitely take very little time for this very exciting ride to reach U.S. shores. Anyway, there’s a good reason why Mercedes-Benz is aiming at those previously mentioned markets. Aside from the fact that the pickup segment is arguably the most competitive in the current automotive market trend, the sales of pickup trucks is also growing at a very fast pace, especially in Argentina, Australia, and Brazil. The company is marketing the 2017 X-Class as the first-ever true premium pickup truck, but there’s no way of judging it without actually driving it. Well, would-be buyers still have a year to wait. Next article'Left 4 Dead 3' release date, rumors: Valve rumored to be developing sequel, arriving in 2017?